The need for personalizing marketing efforts and putting across marketing messages in an instant has made way for GIFs. After all, marketing is customer-centric and emails are behavior-based. The world just cannot have enough of the animated GIFs. Talking about engagements, animated GIF emails have also become the talk of the town! They essentially serve to add that same movement to emails which we are increasingly used to seeing on the web. Data suggest that by the end of the year, the use of videos will represent 74% of total online traffic: it’s easy to see why animated GIFs provide an excellent alternative for emails, where hosting real videos can prove tricky. The beauty of animated GIFs is that they’re easy to insert in emails – they function like any other type of image. They require some extra effort at the creative stage, but once ready, the file can be loaded into the email normally, as if it were a jpeg. To keep customers engaged and glued to your brand, what better way than leveraging the most liked mode of communication visually?! This is the mantra of marketing today: tell stories about the product, do some storytelling, give it an extra dimension beyond a simple “showcase” with descriptions and prices. This is where animated GIFs can be useful in lending a helping hand. How can you make sure that the message is not lost among the email’s other graphic elements? Using the digital equivalent of the flashing neon lights of stores: a colorful animated GIF that can’t be ignored. The moving element captures recipients’ attention, even making smaller sized text effective. An animated GIF is extremely effective for putting a simple text email under a different light, which would otherwise be trivial or flat. Just play a game on words or an animated effect on words that are created or that change color. The possibilities are infinite! Is it winter and you’d like to add a Christmas touch to an image that has nothing to do with Christmas? Just add a touch of snow created with an animated GIF, and it’s a done deal. The same goes for other holidays or seasons of the year: hearts for Valentine’s Day and so on. This is one of the pillars of using animated GIFs – they should direct a user’s gaze and attention to the action indicated by the call-to-action. So it’s best to use them to highlight, chromatically or with movement, the important point of the email you’d like them to pay the most attention to. Including a countdown in emails plays with the fear of missing out, which is powerful psychological leverage for guaranteeing a purchase. A convenient alternative is to create a “fake” countdown in an animated GIF. It is no secret that people are steadily making a shift from desktop to mobile devices. They need everything on the go, and marketers are determined to provide exactly what their customers need. Hence, now that GIFs have become a great way of engaging with users, brands need them to be mobile compatible. The recent data and research all indicate towards the high rise of mobile usage. Businesses are gaining more profits from mobile devices year-on-year. Since people are checking emails on their phones, we cannot ignore the need of mobile responsive GIF designs. GIFs are here to stay. 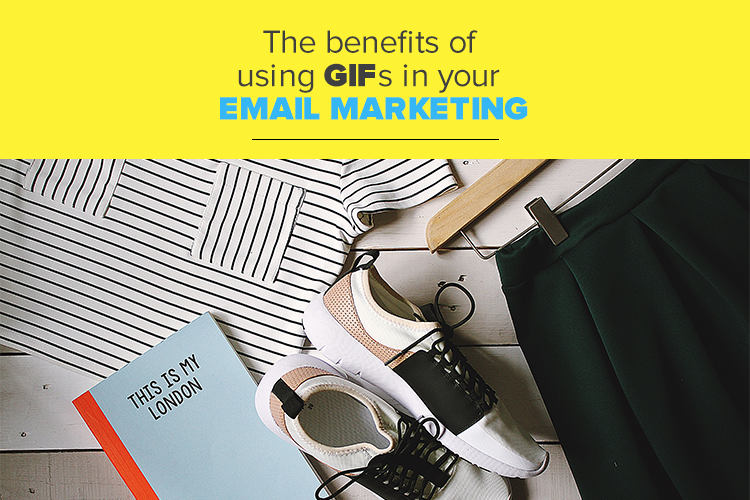 Email marketers are constantly analyzing the impacts and results of using GIFs in emails. Developers are working round the clock to create marketing templates that have GIFs embedded in it by default. The GIF is almost 30 years old, but this will rule the future of email marketing for a long time. That’s because marketing will get more and more personalized, customers will be more empowered than now, and email automation will have a more advanced face to it.